May I suggest that we re-think this mindset? Let’s elevate manners back to its rightful place and spend some intentional, purposeful time with our kids to help them learn and implement some necessary social skills. 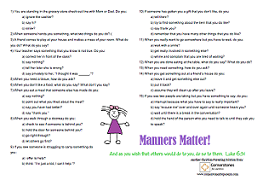 Below are some questions that every parent should ask their children on the topic of manners. 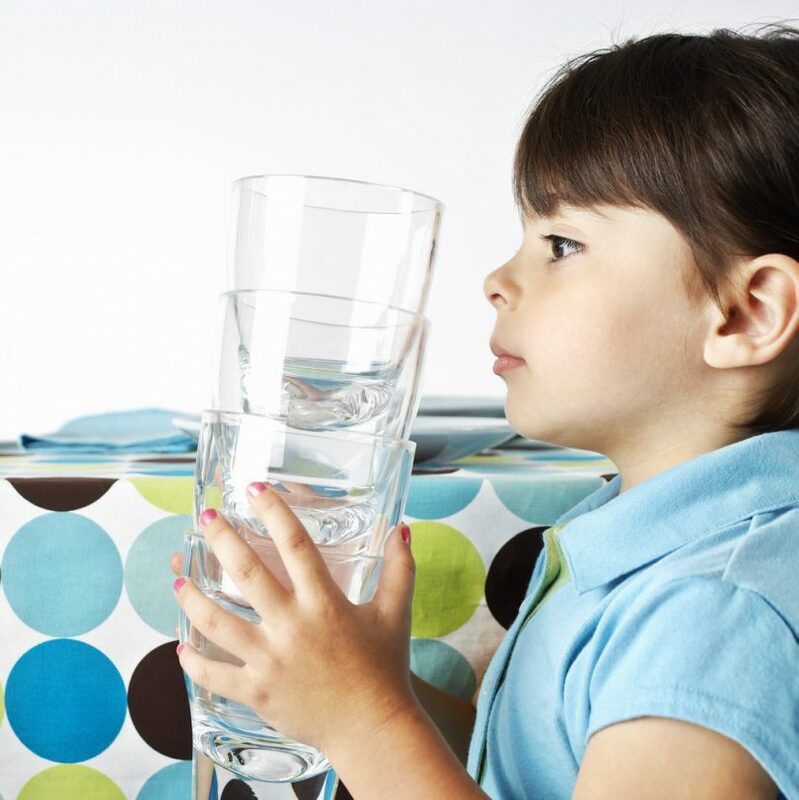 You may find that your kids’ answers will both shock and amaze you. Use them as a jumping off point for future conversations. For some questions, more than one answer is right – it is just a matter of personal preference. For a free printable to have at your fingertips for your family discussion, click here. 3) A friend comes to play at your house and makes a mess of your room. What do you do? What do you say? a) correct her in front of the class? c) tell her later she is wrong? d) say privately to her, “I thought it was ______.”? 5) When you need a tissue, how do you ask? 6) When you don’t like a food, what do you say? What don’t you say? b) point out what you liked about the meal? c) say you have had better? a) check to see if someone is behind you? b) hold the door for someone behind you? d) let others go first? b) think: “I’m just a kid, I can’t help.”? c) usually not even notice? b) try to find something about the item that you do like? d) remember that you have many other things that you do like? a) wait with a smile? b) get really involved in something else? c) whine and complain that you are tired of waiting? 12) When you are done eating at the table, what do you say? What do you do? 13) When you need something, how do you ask? a) leave it and get something else out? c) assume they will clean up after you leave? a) interrupt because what you have to say is really important? b) say “excuse me” over and over again until someone hears you? c) wait until there is a break in the conversation? d) hold the hand of the person who you need to talk to until they ask you to speak? Are Your Kids Ready for Christmas?